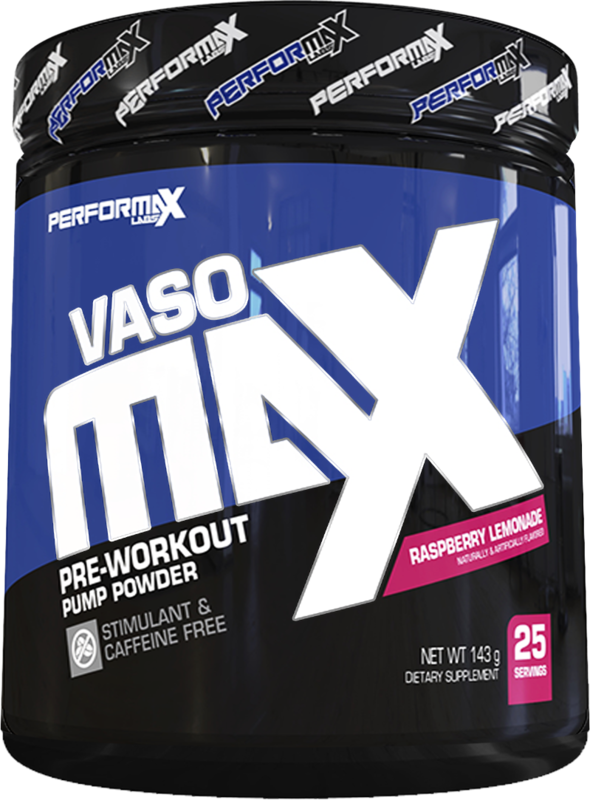 VasoMax is Back! Get ready for the 2017 Version! Muscle Engorging Pumps! Caffeine Free Focus! Muscle Engorging Pumps! Caffeine Free Focus!Muscle Engorging Pumps! Caffeine Free Focus! From a scientific perspective the "pump", commonly referred to as hyperemia, supplies working muscles with oxygen rich blood and nutrients while also removing waste products such as carbon dioxide. The more oxygenated blood and nutrients the muscles get the longer sustained contractions can take place…which ultimately leads to a pump and greater muscular growth. In fact, the cellular swelling that occurs with the pump may increase protein synthesis while also decreasing protein breakdown within the cell. This creates an optimal environment for muscle growth. If these two benefits of the pump were not enough, it also creates fascial stretching which gives the muscle more room to grow over time. Your pumps are precious. You work hard and expect results. Don't put your trust in a pump product that over promises and under delivers. Trust a product with research backed ingredients and efficacious dosing that delivers muscle engorging pumps time after time. Trust Vasomax! Your pumps are precious. Your pumps are precious.